, says professional gambler Daniel Gould. The artistic design in the staging will be done by Sacha Jean-Baptiste, who also did the job for Bulgaria last year. However, according to Daniel Gould, she has a tough job ahead of her. “These five artists are so different. Sacha Jean-Baptiste needs to make the staging in a way that it makes sense. It should make sense that these five people are together, singing this song, on stage”. Says Daniel Gould in the podcast which you can listen below. Not only Bulgaria showcased their vocal capabilities for the first time, last weekend. Also Ireland and Russia saw their artists doing their songs at a live-gig for the first time. And whilst Bulgaria and Ireland made a good impression, Russia seems to be in deep trouble: “It has to be said that Bulgaria used a lot of play-back, but Russia was a total carcrash. However, sometimes this is a good wake-up call. Russia now knowns what needs to be done. I expect it to be better when we actually enter the rehearsal stage in Lisbon”, says Daniel Gould. 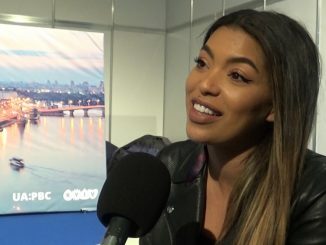 At the Eurovision Song Contest 2017, staging director Sacha Jean-Baptiste qualified with Bulgaria, Armenia and Australia, whilst only Georgia did not make it. Last year she staged four acts, and reached the final with all of them. ESCDaily discovers the Key To Success in the Eurovision Song Contest. 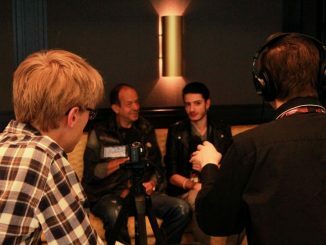 Some say, there is no guide on how to be successfull in the biggest music competition in the world. We tend to disagree…. The key to success in the Eurovision Song Contest is your preparation in advance regarding staging and camerawork. Fokas Evagelinos, the most succesfull staging director in the history of the contest, has said that in a exclusive interview with ESC Daily.